Former Strikeforce 135-pound women’s champion Sarah Kaufman signs with the Canadian-based promotion, Armageddon Fighting Championships. She is scheduled to make her debut on April 2nd in her hometown of Victoria, British Columbia, Canada at Armageddon Fighting Championships 5, against an opponent to be named at a later date. Kaufman is still under contract with Strikeforce, but the promotion is allowing her to compete elsewhere as they build up competitors for her in her weight class. 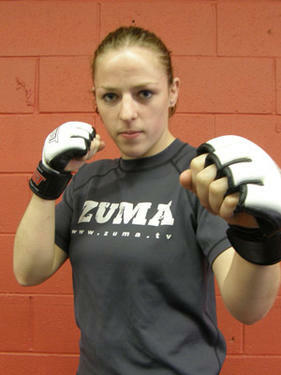 Sarah Kaufman began her career a perfect 12-0, and was considered to be one of the world’s top pound-for-pound female fighters in all of mixed martial arts. She became Strikeforce’s first ever women’s 135-pound champion following her unanimous decision victory over Takayo Hashi back in February of last year. In her next fight, Kaufman put women’s MMA on the map with her vicious knockout slam victory over Roxanne Modafferi on the Strikeforce Challengers 9 card. Unfortunately in her big show debut, she was upset by Marloes Coenen with a third round armbar last October. A middleweight match-up between Matt Horwich and Danillo Villefort has been booked to headline Shark Fight’s first card of the year. Shark Fights 14 is expected to take place on March 11th at the Fair Park City Coliseum in Lubbock, Texas. Shark Fight officials also hinted at the possibility for a network TV deal for the event. Former IFL middleweight champion, Matt Horwich has been the poster-child of inconsistency his entire fighting career. He’s won two of his last three fights, including victories over former UFC title contender Thales Leites and NCAA Division I National Champion wrestler, Jake Rosholt. 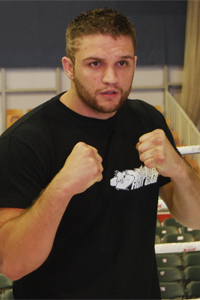 Horowich dropped a split decision to Eric Shambari last September for Bellator Fighting Championships. Danillo Villefort is still considered one of the top prospects in the 185-pound division. Since losing to Jesse Lennox due to a doctor’s stoppage in his only UFC fight, Villefort has since gone on a three-fight winning streak. Villefort most recenty defeated former Strikeforce contender, Joey Villasenor by unanimous decision on just a week’s notice. 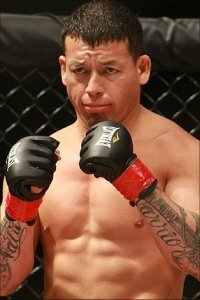 Former Tachi Palace Fights welterweight champion, Phil Collins has withdrawn from his fight with Waachiim Spiritwolf at TPF 9 due to “personal reasons”. Wand Fight Team member, Jorge Lopez has been chosen to replace Collins at the event. Tachi Palace Fights 9 takes place on May 5th at the Tachi Palace Hotel and Casino in Lemoore, California. 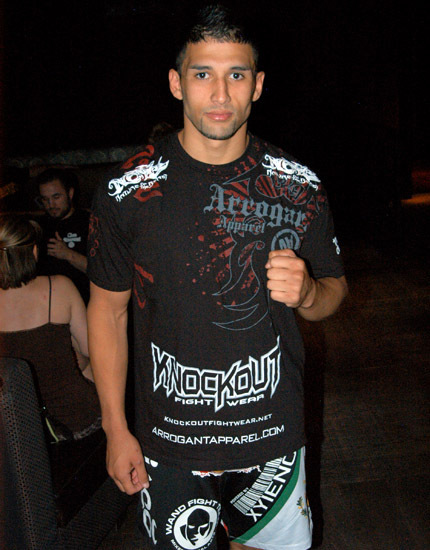 Since dropping a split decision to Nick Rossborough in his MMA debut, Jorge Lopez has won his last eight fights. Three of his eight victories have come by way of TKO stoppages. Spiritwolf is also booked to face Jaime Jara at Bellator 35 on March 5th at the Tachi Palace Hotel and Casino. 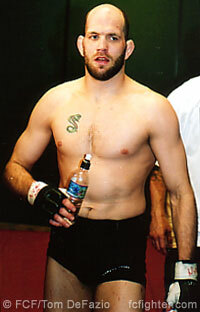 UFC and Strikeforce veteran, Phil Baroni will meet Nick Nolte at Titan Fighting Championships 17. The event takes place on March 25th at Memorial Hall in Kansas City, Missouri. Phil Baroni signed with Titan FC last month after being released from the UFC, following back-to-back losses in the promotion. He returned to the UFC in November of 2009, but lost a one-sided division to former ‘Ultimate Fighter’ winner Amir Sadollah. Baroni got a second chance to get a win, but was TKO’d by up-and-coming prospect Brad Tavares in the first round. 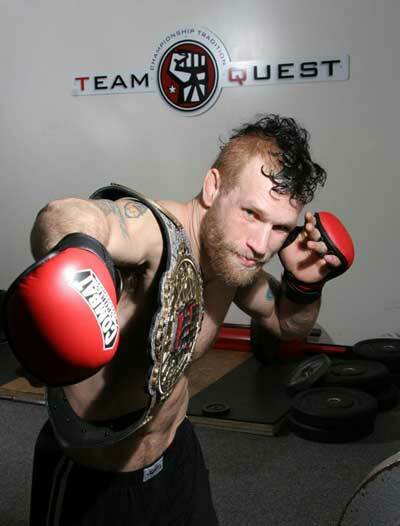 Nick Nolte is a Kansas City local, competing for both Strikeforce and Bellator in his young MMA career. In just his second professional fight, Nolte earned a first round submission victory over Andy Waters at Strikeforce Challengers 5. He then met Drew Dober at Bellator 16, losing by an arm-triangle choke in the opening round. Nolte recently scored a submission victory over Lee Werr at a regional event in Kansas. Another UFC veteran has been added to BAMMA 5. Frank Trigg will meet the United Kingdom’s hard-hitting, John Phillips. BAMMA 5 takes place on February 26th at the Manchester Evening News Arena in Manchester, England. Another lethal striker, Paul Daley meets current DEEP welterweight champion Yuya Shirai in the evening’s main event. 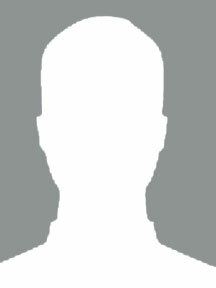 John Phillips is known for being one of the most feared strikers across the Atlantic. All thirteen of his career victories have come by way of TKO stoppages, most recently against Cage Rage veteran James Zikic. Phillips’ last defeat came against Denniston Sutherland back at BAMMA 1 in June of 2009. 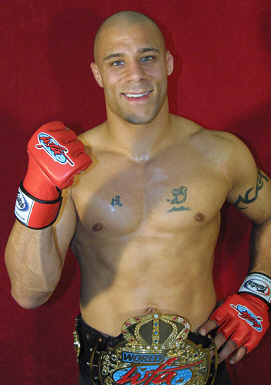 Frank Trigg was released from the UFC in February following back-to-back losses against Josh Koscheck and Matt Serra. He recently righted the ship last November against Roy Neeman with a first round TKO stoppage in Israel. Middleweights Mamed Khalidov and Matt Lindland have signed to face off against each other at KSW 15. The event takes place March 19th at the Towar Hall in Warsaw, Poland. 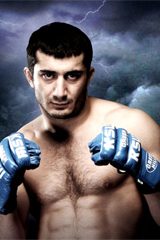 Mamed Khalidov has been the model of inconsistency since defeating Sengoku middleweight champion Jorge Santiago in a non-title fight in November of 2009. He would drop a unanimous decision in the return fight against Santiago for the title at SRC 12, then fight to a draw against Ryuta Sakurai. Most recently, Khalidov got back on the win column at Sengoku’s year-end “Soul of Fight” card with a first round TKO victory over Yuki Sasaki. Matt Lindland is obviously not listening to many observers who suggested he should retire after suffering another vicious knockout loss. Famed-striker Robbie Lawler sent Lindland face first in to the canvas last December at Strikeforce: Henderson vs Babalu. The loss was his third out his last four fights, only defeating Kevin Casey with a third round TKO stoppage in May of last year.